The United States cares deeply and honestly about what is happening in Ukraine. But it doesn't matter. Secretary of State John Kerry is scheduled to visit Kyiv, the capital of beleaguered Ukraine, on Tuesday in a show of support for the new government there and to poke a finger in Russia’s eye. There are certainly more nuanced ways to view the visit, but the truth of the matter is that the United States cares about what is happening in Crimea and Ukraine. Whether you are of the opinion that America is facing the specter of its own deterioration, reaping the bitter fruits of successfully pulling the world up by its boot-straps, coming to grips with a failure to squash bugs of oppression before they spawn, or itching to throw a long-held Cold War right hook; the bottom line is that the world still expects the United States to do something. In the American context, politicians and pundits both clutch their Constitutions like Bibles—proclaiming Liberty, Justice, and Freedom to be the lodestones of the United States. Ambiguous as these ideals are—as inconsistent American pursuit of their global application has been—Liberty, Justice, Freedom remain core American “interests.” We expect the U.S. to dosomething because that is what the US does. Secretary Kerry’s statement that “you just don’t invade another country on phony pretexts in order to assert your interests,” is a soundbite which, besides demanding instant memeification, completely avoids the reality that interests dictate behavior. Pretext, subtext, and context are for historians to debate. If it holds true that Liberty, Justice, and Freedom are core American ideals and their proliferation a fundamental interest—it also holds that the U.S. would care about what is happening in Crimea. The U.S. shares Ukraine’s fears about what its burly neighbor and former parent state will do after saber-rattling and pseudo-invading fail to achieve the desired end state. 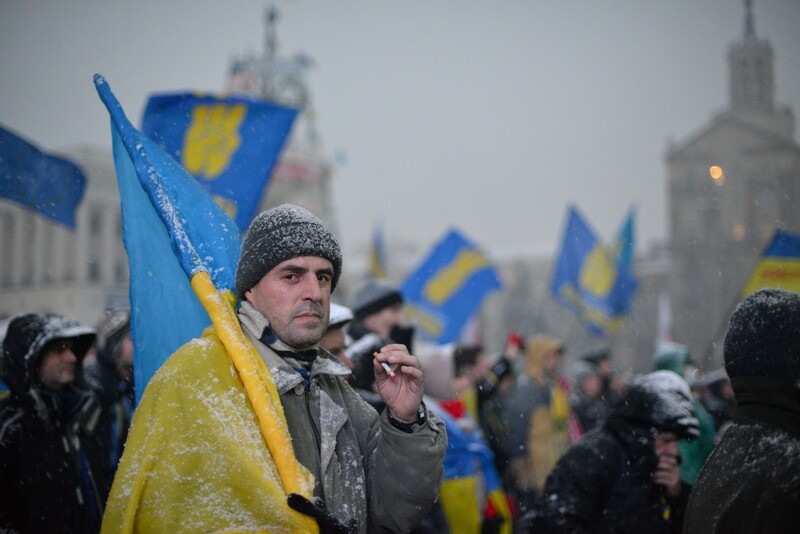 In Ukraine, we have watched a steady march toward the West for a number of years. The Eastern Partnership seemed a done deal in early November, until Yanukovitch backed out and set off the fire of Euro-fever in Kyiv which eventually drove him from the country. This setback of European integration is irritating for the EU, and by proxy the US. Why it Doesn't Matter that We Care about Ukraine. Although some American interests are certainly involved, the complexities of American commitments and interests—economic considerations, domestic politics, and security ramifications—mean that at this point in time the U.S. cares but can and will do very little. Simply put—American interests, in sum, dictate diplomatic pressure and not military movement. My former professor Robert Farley notes that those who put forth “resolve” and/or “precedent” arguments chastising the Obama administration vis-à-vis the Russia/Crimea/Ukraine issue overestimate the importance of U.S. behavior in Russia decision-making. For the same reason the U.S. cares about what is going on in Ukraine, Russia doesn't really care what our position on the matter is. Perhaps American blustering can move the winds in Moscow, but probably not. Catherine Putz is a graduate of the Patterson School of Diplomacy and International Commerce of the University of Kentucky, and currently works as a digital communications assistant at the Atlantic Council. She is also a contributing analyst with Wikistrat. These words and opinions are her own.